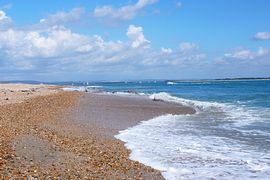 Seaview offers a tranquil base on south east Hayling Island, close to the Marina and Sailing club. Seaview is tucked away right by the beach, convenient to public transport links and ideal for a traditional seaside bucket and spade holiday or a wonderful base for the intrepid explorers. 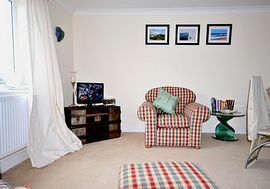 Relaxing at seaview is easy and a comfortable and well equiped self catering home by the sea makes for a great British stay cation. Look out for special offers on short breaks and longer holidays and all guests who return to Seaview will get 5% discount Thank you. Sea views, comfort, location, history, natural beauty, sea sound and smell..
on 1st floor with gentle stairs and modern standard size doorways etc. 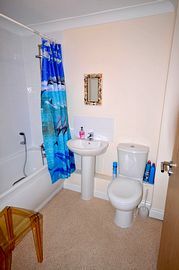 Fresh good quality bed linen and towels included. 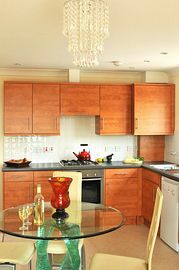 Washer dryer availible in apartment along with hob oven with extractor, fridge, microwave, toaster, kettle, hoover, TV DVD DAB Radio and general utensils in kitchen. well behaved pets considered, always ask prior to booking as deposit will be required. Beach is footsteps from apartment, also bus stop outside which links to major terminal at Havant. £300.00 - £700.00 per week. 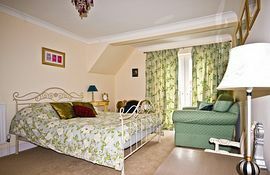 Short breaks & Long Weekends available; Great offers and discounts, look on our website, just ring and ask, we always try to make your stay enjoyable and good value. All year round comfort and relaxation.